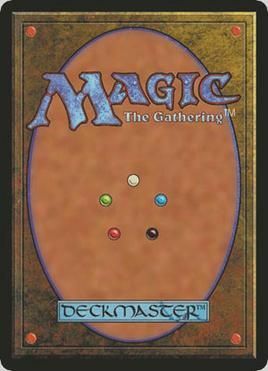 In my early teens, I found myself getting consumed by the card game “Magic the Gathering”. I was a master at making a deck of cards that would destroy my opponents. I learned the cards and powers of each of them and with statistics of how often cards would come up, I would keep my deck lean, mean, and lethal. I had a few friends who were involved in​ the game and we would spend days after school battling each other. My mom noticed that since I started playing this game, that my demure shifted for the worse. She felt that this was an evil game, and I had to go to the church to see the head priest. After speaking to him, he advised my mom to destroy the cards and a Wigi board we had at the house. I thought she was crazy, and the thought of destroying thousands of dollars’ worth of cards was totally stupid. I had no concept of spiritual warfare. After a fight, we decided to get rid of both the cards and the board. During this time in my life, ​ I was also acting up in school. My English teacher was abusive to some of the other students in my class. I remember one kid who wasn’t paying attention in class, so the teacher walked over a picked up his desk about 6 inches and dropped it, landing one of the desk feet on my friend’s foot. I felt like there was something wrong with this, so I decided to get up in the middle of the class and flip the teacher’s desk over, while saying, “I’ll be in the office.” I spoke things over with the principal and everyone in the administration decided it would be best if I was removed from that class and do my work inside a private room in the principal’s office. I realized that I my approach to solving the issue was wrong and I spent some years learning how to express myself in a way that would be less aggressive. I remember my mom telling me that when I was very young, the priest in our church said that I was going to be a man of god. And when he said that, I threw a temper tantrum and dropped to the floor, stamping my feet. I always had a very difficult time wrapping my mind around what so many people call religion. My father used to beat me to go to church. I just never saw the purpose of these people who gather to ask god for forgiveness for their sins, but still spend their week doing all the things they know are wrong. I saw it as hypocritical and didn’t want to be involved. Things got worse, and one day my dad broke a chair I was sitting on trying to get me to go to church. That was the day I stopped going. As years passed, I had this desire to find god. I found myself reading many books about past lives, spiritual awakenings, kundalini rising, and many other topics. I watched many movies including zeitgeist and even found the YouTube channel spirit science - https://www.youtube.com/channel/UCEcMWs6GudljuLw0-Umf97A . I began to collect knowledge from the hidden truths of the occult. The more I exposed myself the more I wanted to know more. I began to see that I had the ability to entertain others with my gifts and I wanted to share these gifts in a way that would add value to others. One of my gifts was I learned magic tricks and puppetry. So I used my wisdom and knowledge along with my skill set and I traveled across the world working with kids in orphanages, children’s hospitals, and domestic violence centers. My journey seemed to make an impact where ever I went, only I was still feeling like there was something I was missing. I found myself in Sierra Leone west Africa working with kids who had their arms and legs cut off for blood diamonds. I was there thinking I can help them, but little did I know they were going to affect me just as much as I affected them. I left Africa with this feeling of sadness, even though I brought so much joy. I realized that this world was designed to keep the poor, poor and the rich, rich. And I really didn’t feel like I was making much of an impact. When I got back from this trip, I eventually met a friend who educated me about bitcoin and block chain technology. I had a vision the moment after I fully understood what it was able to do. I felt like the biggest obstacle that must be overcome was user adoption. The world is shifting and my views were becoming more and more developed. With all the knowledge I collected, I saw a movement that was going to take place. Where people were going to come together and stand together to make this world a better place. I realized that the churches were losing the youth because of the format they were presenting church. The young have lost their connections with the spiritual world the more connected they got to technology. The media and other distractions were a lot louder than any message the church could get out in front of these kids. So I figured if there was a way to use the language and culture they are currently in, and expose them to the truth in the process, we could begin to see things shifting. I saw an opportunity to combine technology and spirituality, so I decided to invest my life savings into this idea. After exhausting most of my savings, I began to lose hope when the team I built wasn’t working well together. I watched the people who I cared for the most, fighting over things and energetically things got really dark. A radical believer who goes out daily to heal people. Like really heal them. 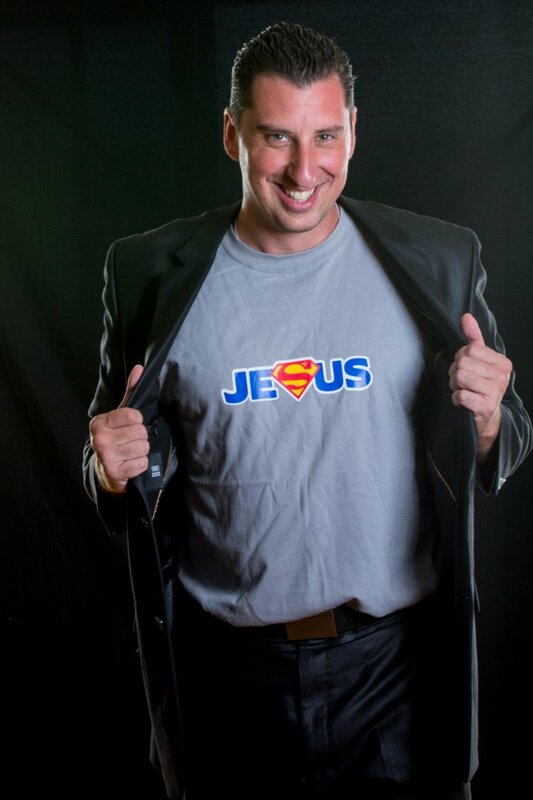 Super passionate dude who people claim to see Jesus when they look into his eyes. 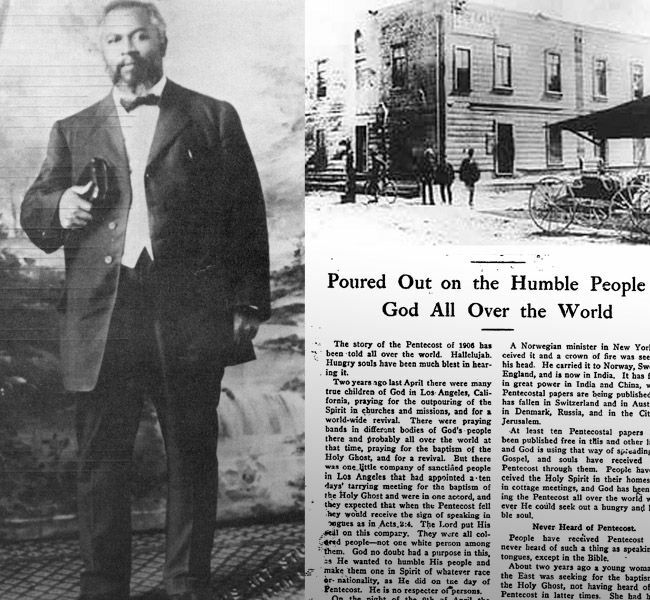 Founder of a church in Redding, California called Bethel and talks about the Kingdom of God. A humble woman who dedicated her life to go overseas to work with children and villages in remote areas, healing the sick, restoring site to the blind and hearing to the deaf. Using the word of knowledge was calling out people by their name, address, and events that were taking place in their lives and sharing what god had planned for them. I come from a world of deception, and I am always looking for how things are done. 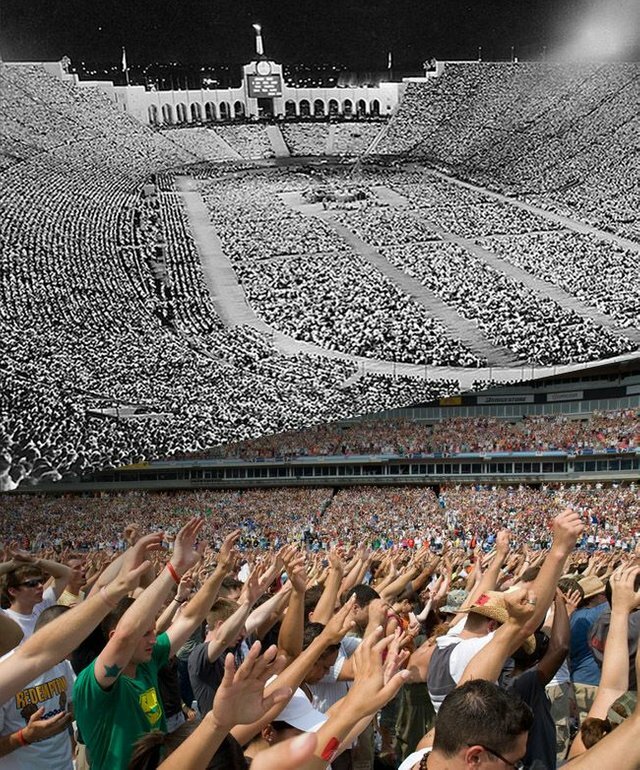 I really believed there was something these people had and were actually doing something on a grand scale to create a change. I also realized at this moment that the Holy Spirit was something different than God and Jesus, even though they are the same thing. There was a movie I found called the Shack - http://www.theshack.movie. It is a story about a man who loses his child and meets God, Jesus and the Holy Spirit. This shifted the way I saw what god was and the purpose God plays in our lives. And after seeing all these people in Azuza, I wanted to go find out more. So I left everything I began to seek God. I hitched a ride from Los Angeles, all the way up to Redding California, which was many hours away. Along this journey I met some other believers who had gifts. I felt like I have always been enlightened, and had abilities far beyond those who were my peers, and finally I was meeting people who had the ability to do things that were just as amazing. I got an opportunity to meet Bill Johnson and performed some magic for him and his eyes lit up and I felt like I shared some joy to a man who radiates joy. I spent a few weeks participating at Bethel, then I was continuing on my journey. I ended up in Pasadena, where I met a woman and her two children who opened their home to me. She was on a high frequency which I resonated with. She shared with me some of her findings of what she discovered of the years of studding the bible. She shared with me many things that made a lot of sense to me and some that were very foreign. Overall, I really learned a lot and felt like I should actually take some time to read the bible. The only thing was, the bible was written in a way that makes very little sense to me. When I was doing a performance for a youth group at another church, they were giving the kids a special bible for being able to memorize 100 passages from the bible. 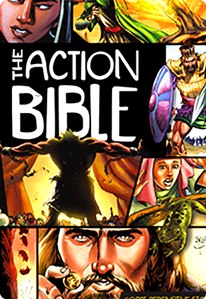 The bible the kids got was called the action bible - http://www.theactionbible.com. A Marvel comic book artist was saved and he decided to use his gifts to draw out the bible in a way that makes it compelling. I actually read the whole book in 2 days. Another out of this world post! Please, keep spreading the word. Life is short but our soul is for eternity! I resonate with you in SO many ways! God is GREAT! What an amazing journey! I strongly believe that God is connecting us to do GREAT THINGS FOR HIS GLORY! Please keep in touch Brother! God Bless You and Your Family! Alex thank you very much for sharing your journey with us! I looked at the spirit science YouTube channel and added The Shack to my list of movies to watch! I loved magic the gathering as a child also and am grateful my brother still has our cards! I learned a lot from spirit science. I enjoyed the whole layout and how they made it simplified as far as a cartoon and delivery some heavy data. The book the shack was better than the movie but I think the movie will give you a good idea. Also another movie was the Celestine prophecy. And @jerrybanfield I would like to thank you for making all your videos. I spent last year learning all about your facebook ads and other tutorials. I bought the Action Bible for my nephew. It's very good for someone who doesn't want to read the actual Bible. God Bless You on your journey. That’s awesome. 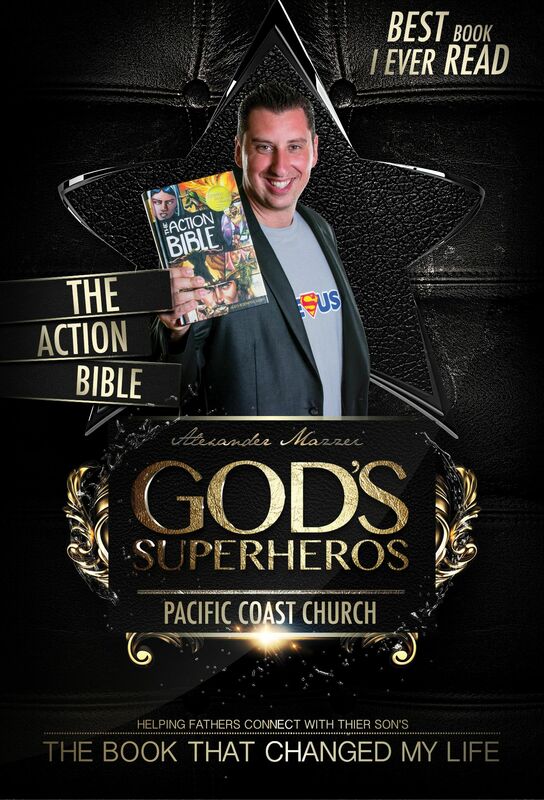 I really loved the whole layout of the action bible and peeks your Intrest to learn more about the big boy bible. This is a great story @alexandermazzei, thank you for sharing it with us on Steemit and participating in the SWC. I am sending a bid to the bot for your upvote. thanks, for taking the time to read it. I have a lot​ more of my story in my intro post​ here if you are interested​ in learning more about where I came from. @jerrybanfield - Thank you for the Upvote!!!! Thank you gmichelbkk for making a transfer to me for an upvote of 11.94% on this post!